A very tough par 4 that requires you to put your drive in the fairway or you'll have a hard time making the green in two. 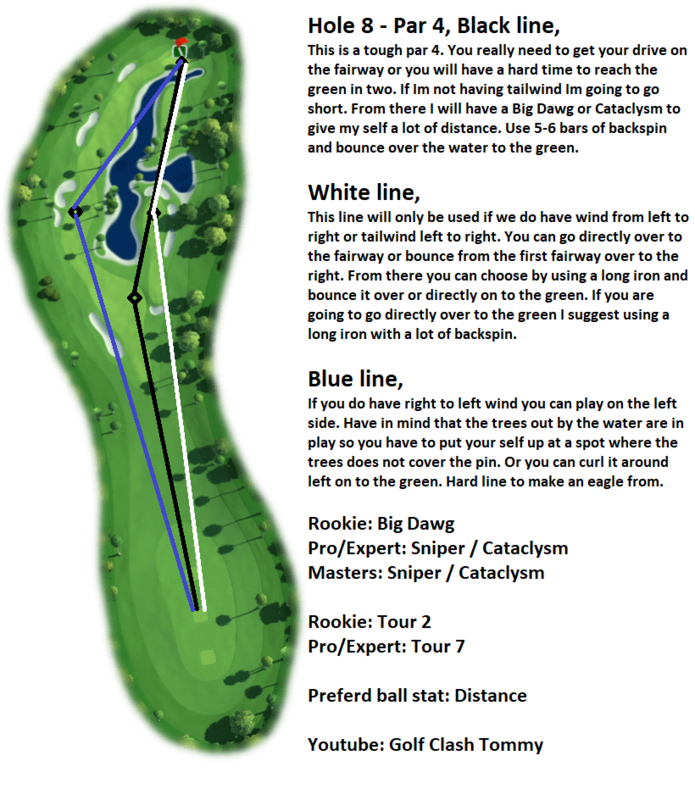 Without tailwind, go short and use a Big Dawg or Cataclysm to get to the green on your second shot. Use 5-6 bars of backspin and bounce over the water to the green. With a right to left wind you can play up the left fairway. Keep in mind that the trees along the water are in play so you need to setup your second shot in a place where they won't block you out. You can also curl around them. This is a hard line to make an eagle from.